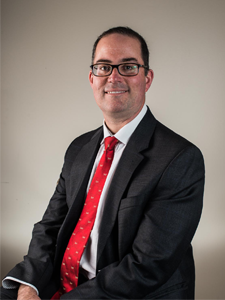 Dr. Prokop is an associate professor with Michigan State University College of Osteopathic Medicine's (MSUCOM) Department of Physical Medicine and Rehabilitation and a clinical associate professor for the International College of Osteopathic Medicine in Milan, Italy. An MSUCOM graduate, Prokop holds numerous fellowships and is a member of several professional medical associations. He is on the governor’s Advisory Committee on Pain and Symptom Management and is an Ingham Osteopathic Association past president. 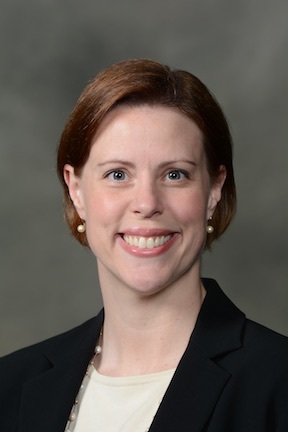 Dr. Glines currently serves as Director of Medical Education, Associate Medical Director of Obstetrics and Gynecology, and Director of the Obstetrics and Gynecology Residency Program at Oakwood Southshore Medical Center in Trenton. Dr. Glines received his Doctorate from Michigan State University College of Osteopathic Medicine. He was board certified and granted Fellowship in the ACOOG. He has served as Clinical Professor of OB/GYN at both MSU and Lake Erie College of Osteopathic Medicine. Dr. Glines has thrice been honored as Outstanding Clinician of the Year at LECOM. 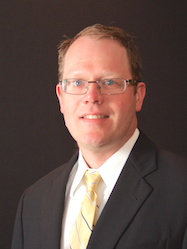 Dr. Sealey is a private practice thoracic surgeon in Metro Detroit. He maintains hospital affiliations with Harper University, Sinai Grace, Detroit Receiving, St. John Macomb and St. John Oakland hospitals. He is also an associate program director for the general surgery osteopathic residency program at Sinai Grace Hospital. 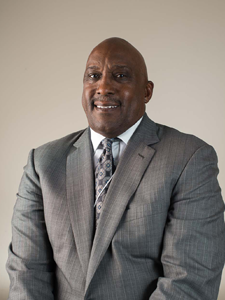 An American College of Osteopathic Surgeons fellow, Dr. Sealey earned his credentials from Michigan State University College of Osteopathic Medicine and North Carolina Central University. 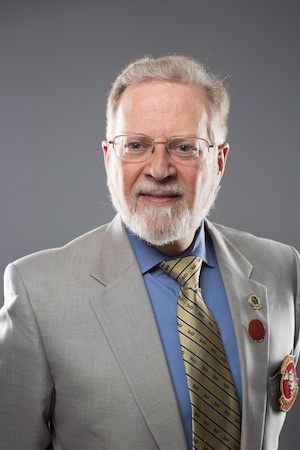 Bruce Wolf, DO, FAOCR, is a Past President of Michigan Osteopathic Association (MOA) and has been a member of the Michigan State University College of Osteopathic Medicine faculty since 2000. Dr. Wolf is a clinical assistant professor of interventional radiology with Michigan State University College of Osteopathic Medicine. He earned his credentials from Chicago College of Osteopathic Medicine and Eastern Michigan University. Dr. Wolf is board certified in Diagnostic Radiology with a Certificate of Added Qualification in Vascular and Interventional Radiology by the American Osteopathic Board of Radiology. Dr. Postlewaite is the OB/GYN Program Director for Metro Health Hospital in Wyoming. He is a graduate of the Chicago College of Osteopathic Medicine, completing his residency in OB/GYN at the Chicago Osteopathic Hospital. 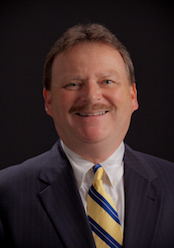 He is currently an AOBOG member and Board examiner, and is the Vice Chair to the Graduate Medical Education Committee. At Metro Health Hospital, he serves the Credentials Committee and has been the OB/GYN Program Director since 2011. Dr. Postlewaite was named Outstanding Physician of the Year in 2003 by Delnor Hospital, where he also served as President to the Delnor Medical Staff, Board of Directors and Trustees member, and was Chairman of the Credentialing Committee. one with Mt. Clemens General Hospital and then with the University of Minnesota. Dr. Adair is also a member of the clinical faculty at both Des Moines University and Michigan State University, as well as being affiliated with the American College of Osteopathic Family Physicians, Michigan Osteopathic Association, Michigan Association of Osteopathic Family Physicians, Macomb County Osteopathic Medical Association and the American Osteopathic Association. 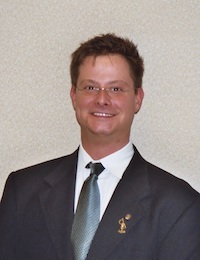 Dr. Bell attended medical school at Lake Erie College of Osteopathic Medicine in Erie, Pa., and continued his medical education at Henry Ford Hospital in Wyandotte, where he completed a traditional internship, followed by his residency in internal medicine at Oakwood Southshore Medical Center in Trenton where he was chief resident. He continues to be involved in the education of medical students, interns, and medical residents as Assistant Professor of Medicine at Michigan State University. Dr. Best is a family physician in the Traverse City area. He has an outpatient clinic in South Boardman and is the attending physician at the Meadowbrook Extended Care Facility in Bellaire, MI. 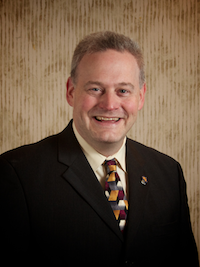 Dr. Best is also a medical director for Heartland Hospice at their Traverse City office. He received his medical degree from Des Moines University - Osteopathic Medical Center in 2002 and completed his osteopathic residency at Garden City Hospital in 2005. 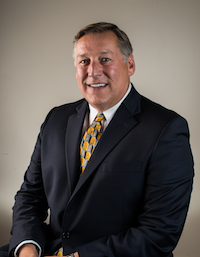 Dr. Beyer served as the President of the Southwest Michigan Osteopathic Association (SMOA) for 20 years leading up to this position, and has been an active member of the Michigan Osteopathic Political Action Committee and Membership Committee. After completing a clinical gastroenterology fellowship at the University of Missouri, Dr. Beyer proudly served a three-year tour of duty as a Lt. Commander in the Gastroenterology Division at the Naval Hospital in Jacksonville, FL. He is Board certified in both Internal Medicine and Gastroenterology as well as being the author of multiple research journal publications. His contributions to the medical community include the education of physicians and students as he is a Clinical Instructor and Clinical Assistant Professor for both Schools of Medicine at Michigan State University. Patrick J. Botz, DO Is a ABOFP certified Family Physician located in Frankenmuth, MI. He is a clinical assistant professor in the Family and Community Medicine dept. at MSU-COM. He is also the medical director of the St. Mary's of Michigan PHO. He earned his credentials from MSU-COM and Western Michigan University. Internship and residency completed at Genesys Regional Medical Center. 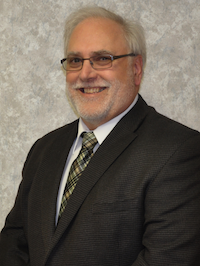 He is a past president of the Saginaw County Osteopathic Society, the Saginaw Academy of Family Physicians and a past member of the board of the Michigan Association of Family Physicians. Dr. Hurst attended Iowa State University where she received a Bachelor of Science in Psychology and Biology. She then attended medical school at Des Moines University where she received her D.O. Currently, Dr. Hurst is the Medical Director for the Canterbury on the Lake Retirement Community, Program Director for the Detroit Wayne County Health Authority, eICU Intensivist and eICU Medical Director for Avera Health Systems eCare Services, Intensivist for the Henry Ford Health System and Geriatric Intensivist for IMPACT. Dr. Hurst is also a member of Michigan State University's Clinical Faculty. Dr. Cheema received her Bachelor of Science degree in Biomedical Science from Grand Valley State University before receiving her degree in Osteopathic Medicine from Michigan State University College of Osteopathic Medicine. Dr. Cheema is currently completing her Emergency Medicine residency at Henry Ford Allegiance Health. 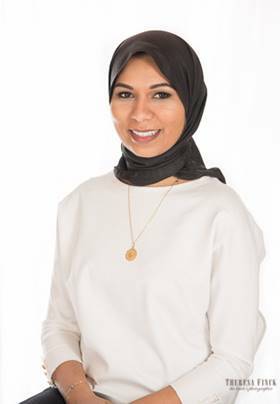 She has been an active member of the MOA serving as the Council of Interns and Residents (CIR) Vice Chair for two consecutive years and is excited to continue her leadership role as the Intern/Resident Board of Trustees member and Chair of the CIR. 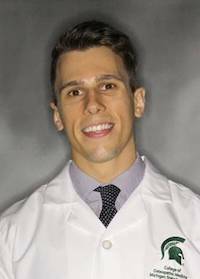 Matt Meranda, OMSII at Michigan State University College of Osteopathic Medicine (MSUCOM), is the Student Government Association President for the class of 2021. Matthew is a fully licensed EMT and has volunteered for AIDS and HIV awareness in a program in Alabama. On the MSU campus he has worked to organize philanthropic efforts within the Greek community, serving as the Philanthropic Chair for Delta Sigma Phi. 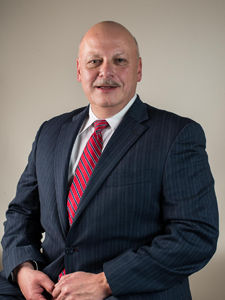 Mr. Nicholoff joined MOA after serving Michigan Dental Association for 22 years as director of governmental affairs, assistant executive director and finally, senior vice president. 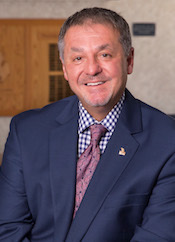 Nicholoff serves on several community boards and foundations, including the Michigan Dental Association Foundation, Sparrow Home Care, Michigan State University College of Osteopathic Medicine's Advisory Board and The First Tee of Mid-Michigan. He also founded the Lansing Youth and Recreation Fund and served on Lansing’s City Council.